The striking athletic design of the all-new Triton was recognised by the Media when it was originally launched globally, as well as in South Africa. The ergonomic design and proportionate shape of the new Triton (versus its competitors), is much more balanced and sleek, offering additional benefits to the driver and passengers such as ample shoulder- and head space, as well as better all-round visibility. Add the trendy new orange and black exterior- and interior design cues with a matching interior theme, an integrated Sports bar as well as shiny black alloy wheels to our double cab bakkie in standard guise (already highly appraised by the Media), then the new Triton Athlete completes the picture of the stylish, modern-day bakkie driver who uses his/her vehicle for everyday driving, as well as for family lifestyle activities over weekends and holidays. 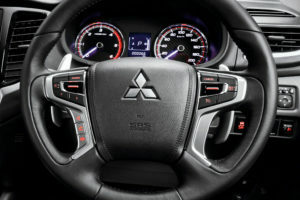 The striking newcomer, with its trendy orange and black exterior and interior design cues, will make its owners stand out in a crowd of flashy cars and expensive lifestyle gear. 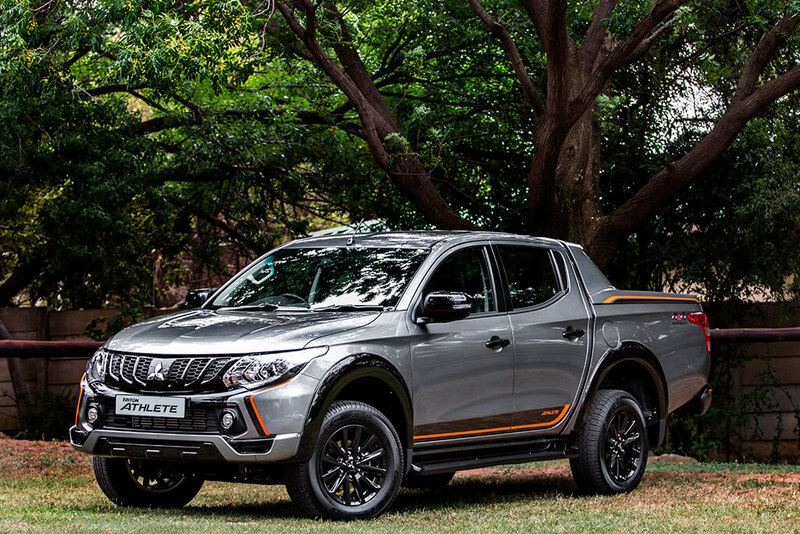 The Triton Athlete is exclusively finished with a new front bumper garnish, a new gloss black grille with a honeycomb pattern, which further enhance the sporty and bold front-end appearance of our bakkie. A lower bumper spoiler with gloss black inserts, matched with a new fog lamp garnish complete the look of the new front styling. Gloss black trim is used on the front- and rear bumpers, wheel arch extensions, side mirror covers, side step bars and door handles to enhance the sporty appearance of our new lifestyle bakkie. 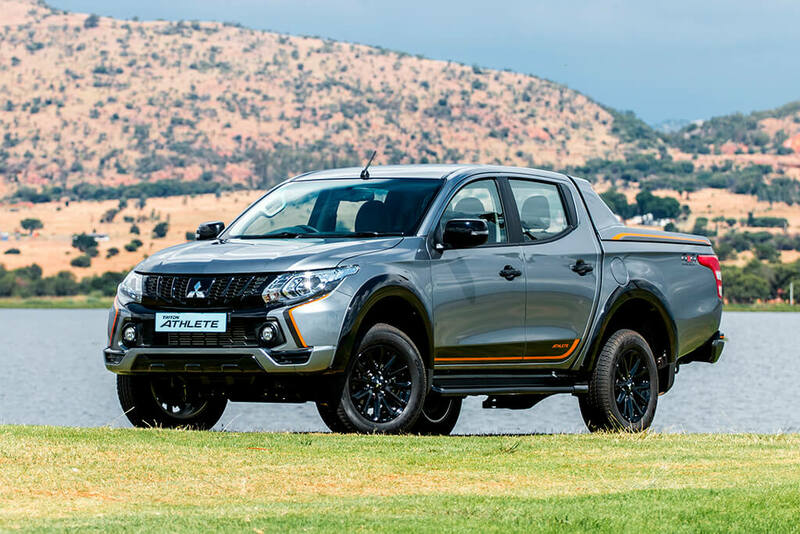 An integrated colour-coded Sports bar is fitted to the load box, with a rear spoiler fitted at the tip of the tail gate to further enhance the dynamic look of the Triton Athlete. 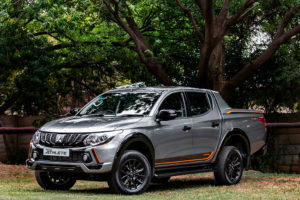 Completing the sporty look of the new Triton Athlete, is a set of special orange and black decals on the doors, as well as on the corners of the front- and rear bumpers. New 4WD Super Select II decals are displayed on the sides and tailgate of this new derivative as well. 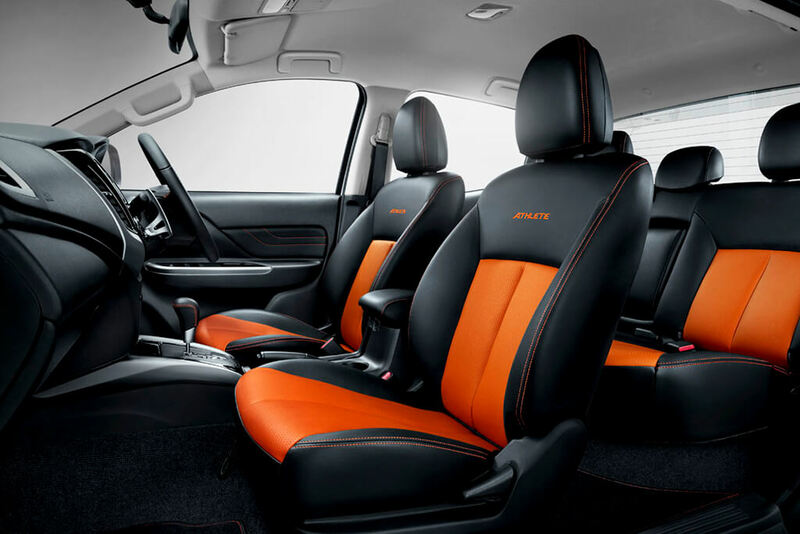 The black and orange theme is prevalent throughout the cabin with perforated orange leather combination seats, with an ‘ATHLETE’ embroidery found on the front seats as well. The matching bright-orange stitching which is found on the leather seats, steering wheel, gear knob, centre console armrest and door trim inserts further contribute to the stylish and sporty appearance of this new Special Edition.